Comedian Lenny Henry summed things up best in a sketch where he entered a record shop to buy a single and was then offered a plethora of versions by the assistant… “I JUST WANT THE VERSION THEY GOT RIGHT!” he exclaimed. With the restriction of tape, a razor blade and the mixing desk, the era often conspired to make more interesting, structured reworkings than the meaningless dance work-outs of today. 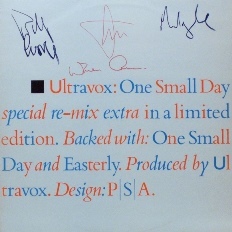 When done well, the 12 inch extended version could totally surpass the original. 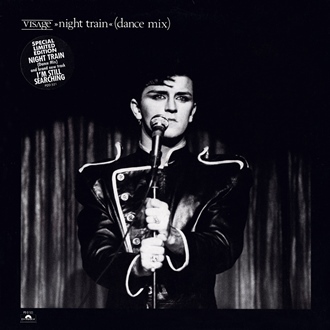 Each track on this list of classic variations was released as a 12 inch single with a corresponding original 7 inch release that was shorter (which thus excludes ‘Blue Monday’ by NEW ORDER); full length album versions that subsequently got issued as 12 inch singles are not included. The shorter album take of ‘Beat The Clock’ was more basic and less epic. 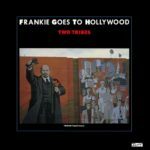 But in this longer, more powerful and percussive 12 inch version, the star of this ace collaboration with Giorgio Moroder was the ever dependable Keith Forsey with his rumbling drumming syncopating off the precisely sequenced electronic production. Russell Mael was at his best in fully fledged falsetto mode, while Ron stood even more motionless than usual, safe in the knowledge than he didn’t even have to play anymore. At the start of their career, rather than just simply extend a song by joining together sections of tape, DURAN DURAN actually took time to rearrange and re-record their 12 inch singles. 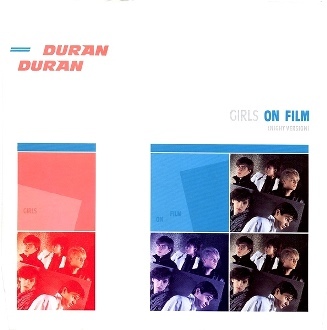 This they did on ‘Planet Earth’ and ‘My Own Way’, but the best of the early ‘Night Version’ trilogy was ‘Girls On Film’. 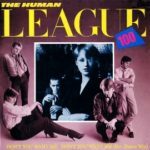 From its opening Compurhythm beat and first instrumental chorus set to Nick Rhodes’ swimmy Crumar Performer to Simon Le Bon’s closing verse ad-lib, this marvellous arrangement formed the basis of their live version. Effectively an instrumental of the closing track on ‘Dare’, the quality of Martin Rushent’s production was fully showcased on this ‘Ext Dance Mix’. Each synth had its own voice and placed inside a precise lattice that formed a fabulous pop tapestry. It was also notable for featuring a guitar, albeit used obliquely by Jo Callis to trigger a Roland System 700. 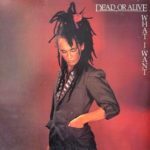 Even without its lead vocals, ‘Don’t You Want Me’ was a fine example of well-crafted, melodic electronic music. 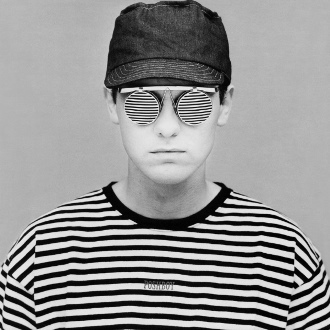 With the futuristic ‘Changeling’ and ‘I Travel’, SIMPLE MINDS had been heavily rotated by Rusty Egan in his DJ sets at The Blitz. ‘The American’ was the Glaswegians’ first single for Virgin and sounded like Moroder merged with NEU! Metallic motorik drumming from Brian McGee sans hi-hats provided an interesting rhythm construction and challenged the band into finding inventive ways of making people dance. 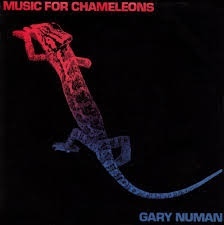 With Mick McNeil’s pulsing synths coupled with Derek Forbes’ bass engine, this was prime art disco. 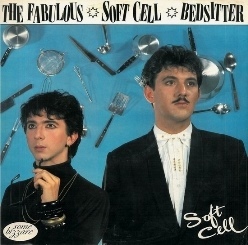 SOFT CELL were quite unique in their 12 inch extended formats by often incorporating extra vocal sections like on ‘Torch’, ‘Facility Girls’ and ‘Insecure Me’. So instead of purely instrumental breakdown extensions, ‘Bedsitter’ added a marvellous rap from Marc Almond where he asked “do you look a mess, do have a hangover?” before taking a little blusher, pushing tea leaves down the drain and starting the night life over again. 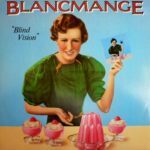 This literal kitchen sink drama to song concept won SOFT CELL many ardent followers. 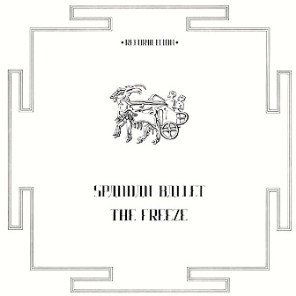 While the single version of ‘The Freeze’ was an enjoyable if polite slice of guitar driven disco, the 12 inch ‘Special Mix’ of SPANDAU BALLET’s second single fully utilised their Yamaha CS10 with a pulsing octave barrage that could have been borrowed from their Blitz Club contemporaries VISAGE. A closing cacophony of electronically processed percussion came over like a funkier KRAFTWERK but with the overblown vocal histrionics of Tony ‘Foghorn’ Hadley, this could only have been the Islington quintet. B-MOVIE were famously the band that Phonogram pursued to take on SPANDAU BALLET and DURAN DURAN. Managed by Some Bizzare’s Stevo Pearce, he stipulated that an unknown synth duo called SOFT CELL be part of any deal. 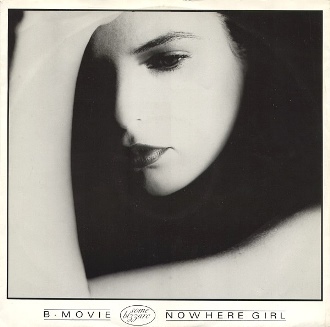 Possibly the best single featuring the original line-up, the 12 inch version of ‘Nowhere Girl’ featured an extended intro with just a solid beat for company along with tinkling ivories that came over like ULTRAVOX in full flight before the pulsing bass and harp-like synths kicked in. 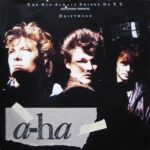 The best classic 12 inch versions often retained the musical structure of the song but cleverly used the technique of breakdown to achieve dynamic highs and lows where appropriate. The 12 inch version of ‘Is It A Dream?’ effectively tagged the instrumental version of the song onto the beginning which provided a build towards the main act as the recognisable elements of the tune steadily kicked it. A final coda of thumping Simmonds drums and brassy synth provided the piece de resistance. 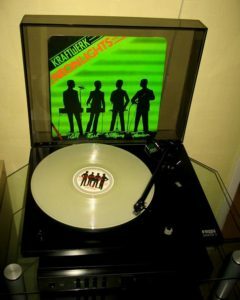 A different version altogether from the 7 inch, however the 12 inch version was actually recorded in one massive 14 minute jam session with the shorter version preceding it. The recording itself was marvellously flawed, with Stephen Morris’ overdriven Simmons snare panned too far to the right while band members can also be heard calling instructions and tutting. The final closing refrains and the iconic “oooh-oo-ooh” vocal hook to the drum breakdown made ‘Temptation’ both grand and magical. In 7 inch form, GARY NUMAN’s ‘Music For Chameleons’ sounded incomplete. 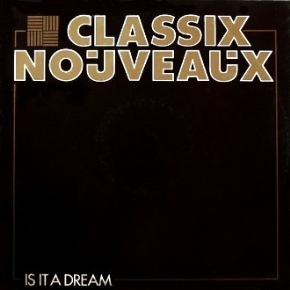 Lasting almost eight minutes, with the fluid fretless bass runs of Pino Palladino and the stuttering distorted clap of a Linn Drum providing the backbone to some classic vox humana Polymoogs, the 12 inch version’s highlight was the windy synth run in the long middle section. The effect of this was ruined on the ‘I Assassin’ album version which clumsily edited this section out, thus proving occasionally that more can really mean more! Inspired by the burgeoning New York club scene, Rusty Egan brought in John Luongo to remix ‘Night Train’ much to Midge Ure’s dismay, leading him to end his tenure with VISAGE. But Luongo’s rework was sharper, pushing forward the female backing vocals to soulful effect in particular and replacing the clumpier snare sounds of the original album version with cleaner AMS samples. However, on this longer dance mix, Luongo isolated Rusty Egan’s drum break which unexpectedly saw him do his impression of Billy Cobham! Possibly BLANCMANGE’s most overt disco number, under the production supervision of New York club specialist John Luongo who had remixed ‘Feel Me’ to great rhythmical effect, ‘Blind Vision’ was punctuated by brass, extra percussion and slap bass as well as the trademark BLANCMANGE Linn Drum claps also thrown in. 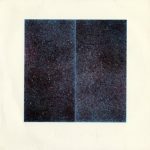 A steady build-up, vocal ad-libs from Neil Arthur and a prolonged coda extended the track to a hypnotic nine and a half minutes. With an edgy production from Zeus B Held, ‘What I Want’ was effectively a rewrite of ‘Blue Monday’, or even ‘Shake It Up’ by DIVINE, depending on your outlook. Combining a variety of musical styles, this HI-NRG / Goth hybrid was the last track Wayne Hussey would play on as a member of DEAD OF ALIVE before departing for THE SISTERS OF MERCY. “Listen blue eyes, shut up!” scowled Pete Burns with an aggression that showed he was a top rather than a bottom in this salaciously pounding affair. 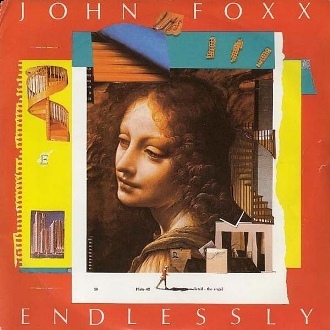 After the mechanised dystopia of ‘Metamatic’ and the comparative romantic thawing with ‘The Garden’, JOHN FOXX started experimenting in psychedelic pop. With nods to ‘Sgt Pepper’, the original Linn Drum driven version of ‘Endlessy’ from 1982 had the makings of a good song, but was laboured in its arrangement. 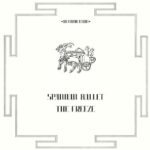 Reworked with Simmons drums, metronomic sequencers and grand vocal majestics, the Zeus B Held produced 1983 version was even more glorious in an extended 12 inch format. 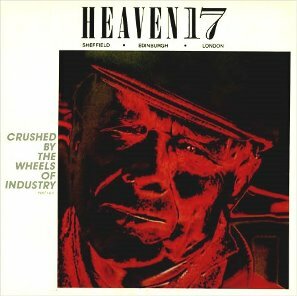 Taking a leaf out of their old sparring partners THE HUMAN LEAGUE, HEAVEN 17 took off most of the vocals and played up the various instrumental elements of ‘Crushed By The Wheels Of Industry’ with a restructured rhythmical backbone. With a punchy retuned bass drum attack and Roland Bassline programming pushed out to the front, sequences and guitar synth solos were phased in and out. The chanty chorus remained while John Wilson’s funky freeform bass solo closed the show. 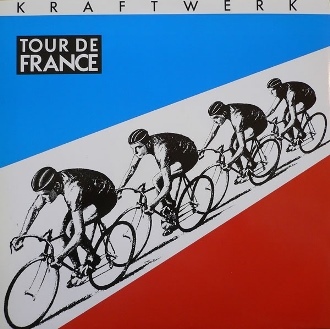 The original ‘Tour De France’ single in 1983 signalled the launch of a new KRAFTWERK album ‘Technopop’. Despite being given an EMI catalogue number, it was never actually released. However, ‘Tour De France’ took on a life of its own. This masterful remix by New York DJ Francois Kevorkian backed a key scene in the film ‘Breakdance’ which lead to a re-release of this rework. 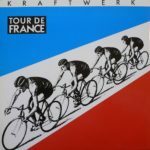 Much more percussive and less song based than the first version, it reinforced KRAFTWERK’s standing in the US Hip-Hop scene. One of the best 12 inch versions ever, it not only retained the essence of the original song but added enough extra elements to make it quite different too. 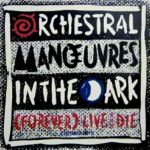 There was more rock guitar from Richie Zito which actually enhanced the track and the false end after the guitar solo leading to a superb percussive breakdown that made the most of Arthur Barrow’s frantic Linn Drum programming. 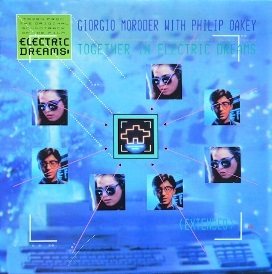 Of course, ‘Together In Electric Dreams’ wouldn’t have been any good without Moroder’s songcraft and Oakey’s deadpan lyricism. The UK 12 inch extended version was a rather formless, dub excursion that never got to the point. 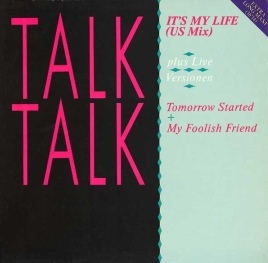 However, taking a leaf out of DURAN DURAN’s specifically taylored remixes of songs from the ‘Rio’ album for America, EMI / Capitol commissioned Steve Thompson to construct a toughened up version of ‘It’s My Life’ to make it more MTV friendly. The song became an unexpected favourite in US clubs. One impressionable teenager who was no doubt listening was Gwen Stefani who covered the song in 2003. 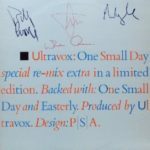 One of ULTRAVOX’s more guitar driven numbers, there were eventually three different extended versions of ‘One Small Day’, the best of which was the ‘Special Remix Extra’ (also known as the ‘Extended Mix’) that was issued on the second of the 12 inch releases. With chopped up vocal phrases replacing a conventional vocal on this neo-dub mix, it allowed the instrumentation to come to the fore without Midge Ure’s shrill chorus acting as a distraction. While the Trevor Horn produced ‘Dr. Mabuse’ was very much a Fairlight-fest, PROPAGANDA’s second single ‘Duel’ with production by Steve Lipson was based around the Synclavier, PPG and Roland Super Jupiter. To add some syncopation, Stewart Copeland from THE POLICE rhythmitised alongside the Linn Drum while the ‘Bitter Sweet’ extended mix broke down the instrumentation to reveal a highly intricate arrangement. The programmed piano solo is still one of the maddest bursts of music ever! Not the better known but less fulfilled ‘Extended Remix’ by Tom Lord-Alge, John Potoker’s reworking did away with its daft skips and enhanced the song’s enjoyable instrumental elements largely hidden in the single mix. 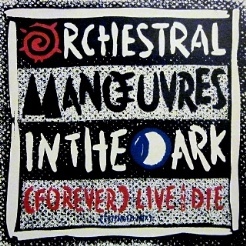 The wonderful end section with its wild rhythm guitar from Kamil Rastam and Malcolm Holmes’ reverbed drums also revealed that despite the song’s palatable Trans-Atlantic sound, the synthetic choirs that had been part of OMD’s sound since they heard KRAFTWERK’s ‘Radio-Activity’ still lingered. ‘Suburbia’ was a good if slightly underwhelming album track from ‘Please’ that got transformed into a more fully realised sub-nine minute epic. Produced in this new longer version by Sarm West graduate Julian Mendelson, it was effectively a two-parter. 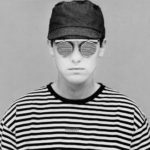 Complete with barking dogs, widescreen synths and thundering rhythms, the intro and middle sections saw a pitch shifted Neil Tennant monologuing about the evils of ‘Suburbia’ in a devilish ‘Meninblack’ tone. 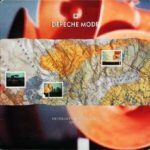 A merging of the album version with the Wasp driven bass heavy ‘Aggro Mix’ (hence the ‘Split Mix’ title), this sub-ten minute take on one of DEPECHE MODE’s classic songs was perfection. Other DM 12 inch versions were tiresome like the ‘Slavery Whip Mix’ of ‘Master & Servant’, but ‘Never Let Me Down Again’ took into account that the best 12 inch mixes usually had the actual song and an instrumental middle section before a reprise of the main chorus hook.